A new treatment of the genus, which includes species previously in Chorisia. Available as a PDF file on the Internet. S. America - Brazil, Bolivia, Peru, Ecuador, Colombia, Venezuela, the Guyanas; north through C. America to Mexico; Caribbean; West tropical Africa. 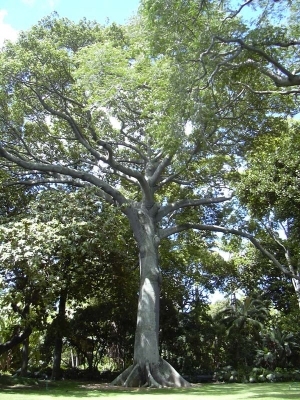 Ceiba pentandra (L.) Gaertn. Ceiba, Kapok, silk cotton tree. Bombacaceae. Bombax family. USDA Forest Service, Southern Forest Experiment Station, Institute of Tropical Forestry; 4 p. (SO-ITF-SM; 29). A very detailed article on Ceiba pentandra. It can be downloaded from the internet. Timber Trees of Meso America. A PDF document, published on the internet. Detailed reports on about 30 species of timber trees from Central America.